The Marks To Prove It outfit played a special charity gig at Omeara in aid of the MS Society. Watch the crowd singalong to their Precious Time anthem above. 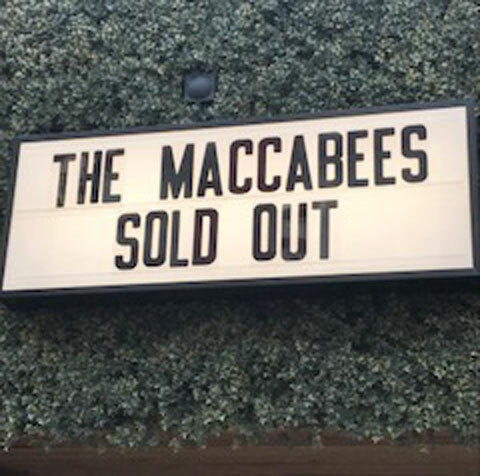 The Maccabees played a special benefit show as part of their farewell tour in London on Friday (16 June), with support from Mystery Jets and Imperial Daze. The sold-out show, which saw them perform to a tiny crowd of 350 at Omeara, took place to raise funds for the MS Society. The Pelican five-piece played a career spanning set including the likes of Pelican, Precious Time and Toothpaste Kisses to an audience which boasted the likes of the Foals and Florence Welch. The Maccabees will go on to play their farewell tour dates, which kick off next Thursday in Birmingham.